Description: When love walks in the room ... Awards, fame, wealth ... Bono has it all. But the biggest rock star in the world has something more important, something that has guided every step of his success: faith in God. From growing up in Ireland during deadly times to performing on the largest stages in the world, Bono's beliefs have kept him grounded and focused on what truly matters. Whether using his voice to captivate an audience or to fight for justice and healing in Africa, Bono is a champion of the lost and a hero to those who long for harmony. Breaking Through by Grace: The Bono Story by Kim Washburn was published by Zondervan in September 2010 and is our 18000th best seller. 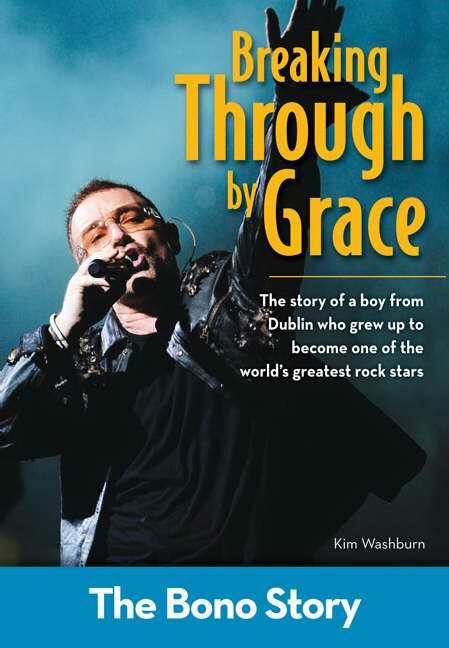 The ISBN for Breaking Through by Grace: The Bono Story is 9780310721239. Be the first to review Breaking Through by Grace: The Bono Story! Got a question? No problem! Just click here to ask us about Breaking Through by Grace: The Bono Story.